You guys are constantly revisiting and updating the recipes of your core range – how is that process? Do you ever feel like you achieve the perfect rendition of say Headband or will it always be a case of fine tuning and adapting? We have revisited the core range continually and mainly down to the fact they are all still brewed into our original flat bottom fermenters, which restricts us to using dried yeast. We are now happy with all iterations of these beers and even to the point now that we feel moving away from these FV’s would change the beers again and maybe too far away from what they are now. Headband for in stance is tasting perfect right now, Pulp & Bloom have never been messed with and as for Lightbulb, well that’s an ongoing battle and mainly down to the fact that subjectively we all like different things. But, I’m pretty sure that we are very close to having that nailed too. Have you noticed any particular trends in drinking habits this past year? Lower ABV stuff seems to be much more prevalent than it was amongst UK breweries than it was last year for instance. Lower ABV beers for sure and fruited sours, the triple fruited Gose we collab’d with North Brewing on definitely seemed to hit a sweet spot with people. I think the brewers have driven the low ABV trend, last year at beer festivals was brutal with all the DIPA’s floating around. There is also a definite trend towards the Brut IPA, an IPA fermented out with Champagne yeast, still fruity but with an incredibly dry finish. 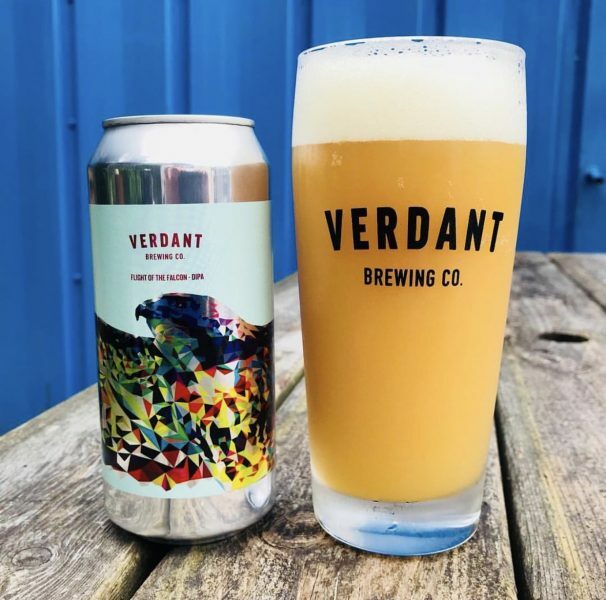 How is it meeting the demand for Verdant beers? You’re bringing out new beers most weeks – it is exciting times. You recently increased your brewing capacity. What are your plans moving forward? Our plans are to grow for sure, but we are so limited in finding suitable space in Falmouth. We are working hard to solve these problems and have a couple of options. We will be looking to putting some plans in place later this year. Seafood tapas and beer! Name a more iconic duo. How are your plans for the Seafood Bar going? This space really excites all of us. We know it’s late and it’s taking too long but it will be so very worth it. Current plans are to open over the weekend of the Falmouth Oyster Festival on October 16th. 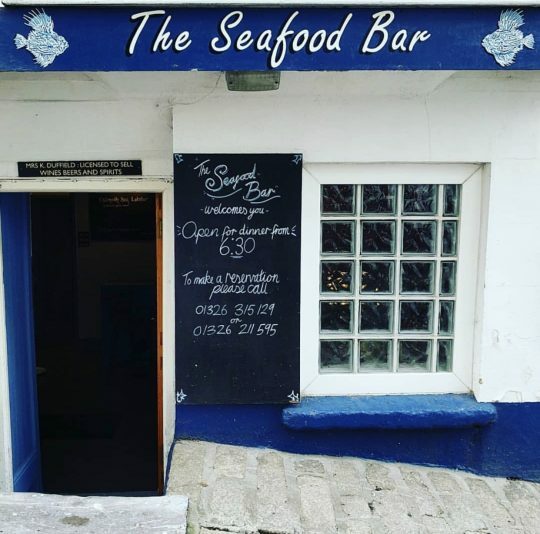 The space we have taken on has been the Falmouth Seafood Bar for nearly 40 years, we want to continue this tradition but bring Verdant beers into the mix also. It’s quite an important space in Falmouth and although very small will be a great place to spend an afternoon or evening when visiting the town. Expect the freshest seafood along side the freshest beers. Are you finding drinkers are making the pilgrimage to Falmouth more often these days? Where should any prospective fans visit in Falmouth? Most definitely! We find the shop at the brewery is very busy with people suggesting day trips to Falmouth via the stop off at an industrial estate. It’s really very exciting to have the drinkers from around the country drop in and buy fresh cans. We always get to here where they buy our beers outside of Cornwall. 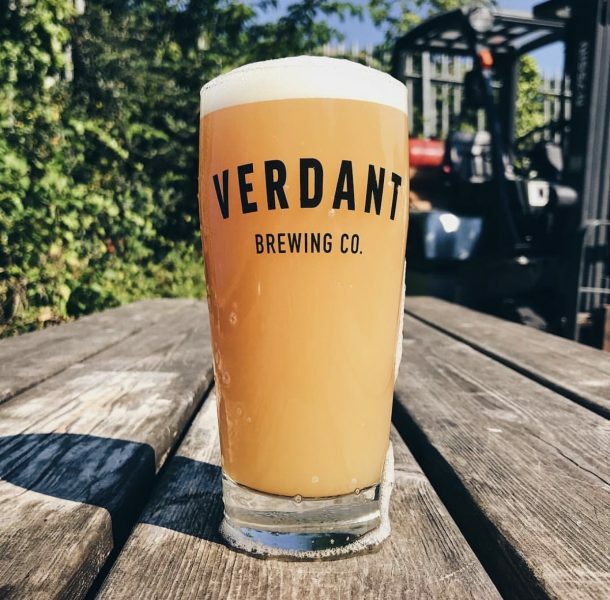 If coming to Falmouth you need to visit HAND Beer Bar – 8 years a craft beer, The Working Boat stunning location and good food, The Star & Garter for finer dining, The Seaview Inn for a pub with a panoramic view of Falmouth. You can’t really go wrong for food in Falmouth, the Kitchen is fantastic, The Wheelhouse if you can get a table and Provedore (arrive early with cash) are all great options. You’ve been at IMBC the past two years. What for you, as seasoned festival pourers, makes a good beer festival? But seriously it’s down to the organisers. When an event is well organised the brewers pull out all the stops and bring their A game. A well organised festival provides everything that the customer would need. Beer, Food and Conveniences often; layered with music and good vibes at value for money. The location for IMBC is worth the ticket alone. Tell us about The Experiment! How did your partnership with Pressure Drop come about? Any plans to link arms with those guys at IMBC? Lastly, what are Verdant going to bring to the Turkish Baths? Any exciting plans you can leak? No leaks, but expect some beers never poured by us before, when I say never poured… beer that has been hanging around for a while that we need you guys to taste. Music naturally as we are all huge fans, a photo booth is being lined up so that visitors can remember their time at IMBC and we can post you all onto the internet. Expect fun times! 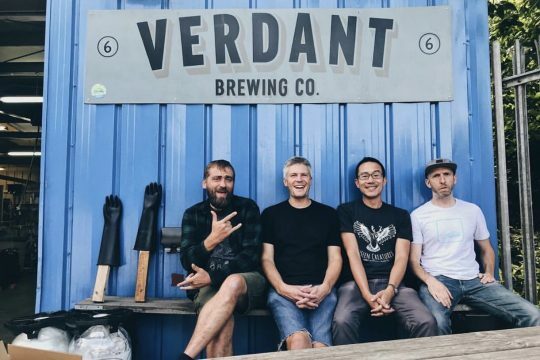 Follow Verdant on Instagram, Twitter, and on their website.